Our Spring For Winding Rewinding Machine is used for all types of Laminates like, Foil, Paper, LDPE, HDPE, PVC, etc. Our Spring For Winding Rewinding Machine is manufactured with us most precision which ensure zero maintenance up to 10 years. 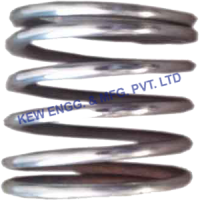 We have been successfully Manufacturing, Exporting & Supplying all types of Spring For Winding Rewinding Machine and Winding Rewinding Machine for Inkjet Printer & Batch Printing since last 25 years from Ahmedabad, Gujarat, India. We are winner of 3 times National Award and 2 times International Award for Quality manufacturing. We are manufacture, exporter, and supplier Of Spring for Winding Rewinding Machine. Spring For Winding Rewinding Machine is used for all types of Laminates. 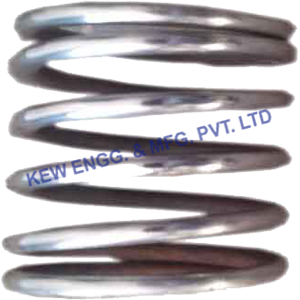 Spring For Winding Rewinding Machine is manufactured with us most precision which ensure zero maintenance up to 10 years.